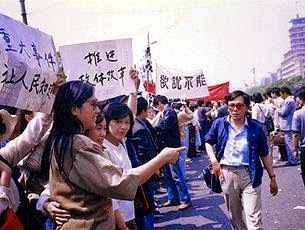 Reporters line up for protest march in Beijing. 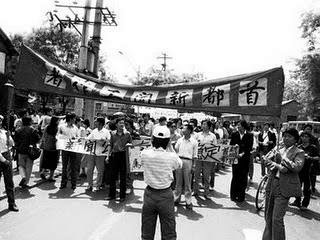 Beijing reporters protest. The banner says "We Want to Speak Truth! Don't Make Us Lie!" Reporters protest. 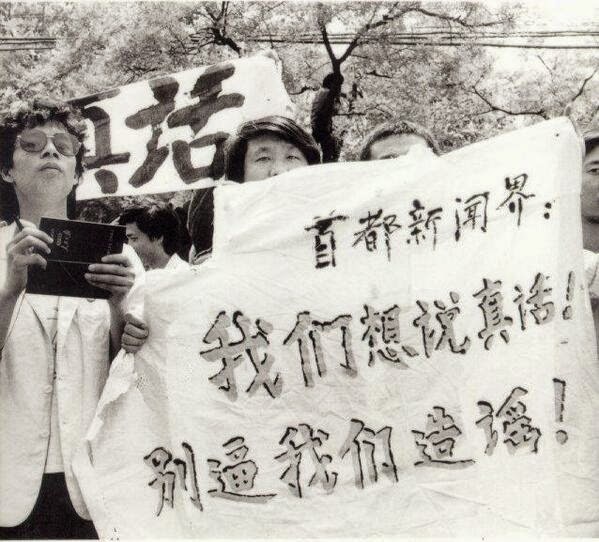 The lady in front with her right arm stretched is Gao Yu.